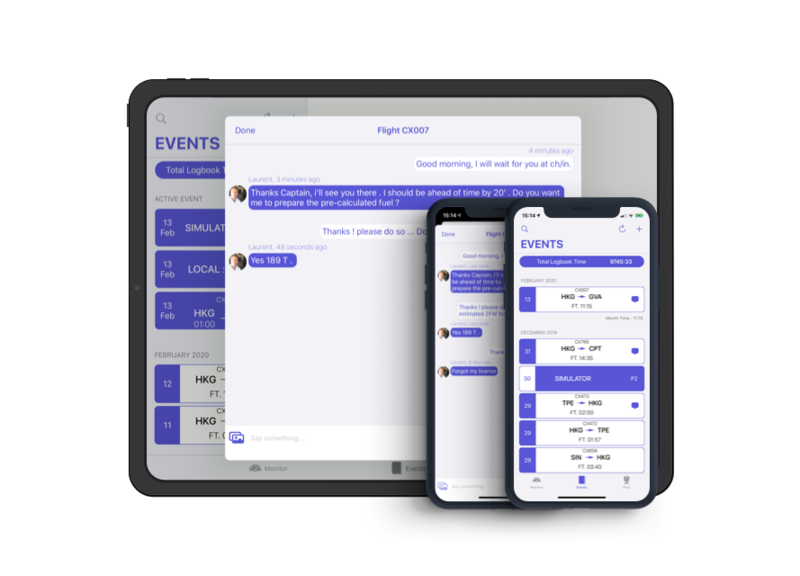 Introducing Air Pilot Logbook, a great new Digital Logbook designed to simplify the Pilot’s Activity. Whether you’re flying as a private and/or as a professional*, record all of your flights and simulator sessions in one place. *Taylor-made version of Air Pilot Logbook for Airlines is available on request. Contact us for details. Entries are made easy by a mix usage of logos and texts. Pre formatted templates are helpful to record a new activity. Based on ICAO rules and practise, Air Pilot Logbook is designed to stay in compliance with most International requirements. Wherever your activity takes place, we only use official definitions and descriptions. Air Pilot Logbook monitors constantly your documents, ratings, qualifications, including expiry dates, renewals, recency. The Monitoring feature will keep you notified should any expiry date approach. Make a new entry in a very easy manner (automatically or manually). Amend, cancel or search for a specific one. Air Pilot Logbook will automatically update all of your Total Flight Times, P1, P2, Solo, VFR, IFR, S/E time, M/E time.... Totals are easily accessible at any time through templates logically designed. Keep a visual overview of your licenses, qualifications, ratings expiry dates as well as duty time limitations and much more. A very efficient way to maintain the different documents always valid. Switch from paper printed logbook to Air Pilot Logbook manually or by using our automated import features from LogTen Pro or even from your company record.